Holy Crap. I Wrote a Book. | Honey, I Shrunk the Gretchen! Home » Dear Diary » Holy Crap. I Wrote a Book. Holy Crap. I Wrote a Book. I seriously searched for like half an hour, just trying to find ONE gif or ONE Youtube clip that showed Leslie Knope on Parks & Recreation in the episode “Win, Lose, or Draw” when she goes to vote for herself on the City Councilman ballot. You know, that moment she goes and fulfills her lifelong dream, no big deal. Unfortunately, the internet failed me and I came up short. So if you’re seen the episode, you’ll just have to reimagine the heartwarming-to-the-point-of-tears moment in your mind. And if you’re not familiar with the show, well, this analogy is probably lost on you (a fate you deserve for not watching this amazing show, I might add). That said, I think you probably still get the gist. Today, honestly and without fail, feels like one of the most significant days of my life. Granted, I know I’ve only been walking this earth for 24.5 years, but still. That’s some meaningful ish. 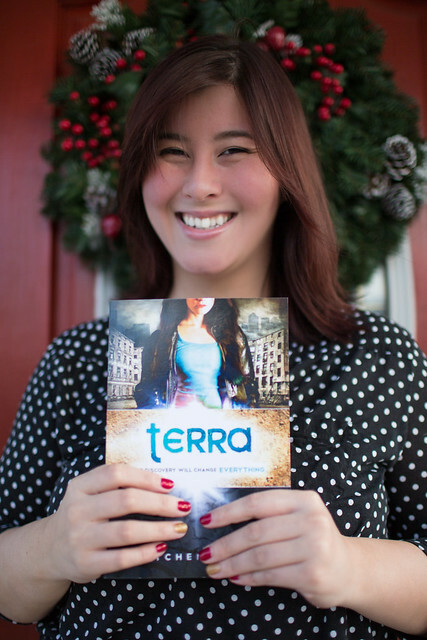 Today is the official launch day of Terra. The book that I wrote. Like, with pages (real and digital) and words that form sentences and an “About the Author” section that pays homage to my obsession with my dogs. This is so flippin’ weird. In the best POSSIBLE way, of course. Because I didn’t “just” write a book. I wrote it, and then I sought out the help and expertise I needed to craft it into something amazing. Something I honestly could not be more proud of. Something I truly believe others will enjoy, definitely like, and maybe even love. And then I went on to publish it, to make some sordid attempts to market it, and here we are. Right here, right now. And yes, that is a High School Musical 3 song reference. You’re welcome. If you creep on my writing blog, you might have seen that I actually soft-launched the book yesterday, to ensure that everything was up and functional in time for today. And even though I got a lot of awesome encouragement from the few people who picked up an early copy yesterday, I knew that things wouldn’t feel REAL until today. Until I wrote this post. Until I made all the announcements, did my happy/disbelief dance, and got to say offically–OFFICIALLY–that my book is published. And that I am an author. See, I’m not what you’d call a finisher. Oh, sure, I’m a great starter. I’ve got ideas and ambitions and things I want to try coming out the wazoo. I want to do and be EVERYTHING: painter, singer, public speaker, successful entrepreneur, photographer, blogger, writer, fashion model, makeup artist. The list goes on and on… and on. But all most of those things have ever amounted to is entirely too much money wasted on supplies/equipment I no longer use, and many, many, MANY unfinished projects. That’s just how I’ve always been. A kickstarter with no follow-through. I’ve got ALL THE HOBBIES, I’ve been in and out of jobs since I graduated from college–I even switched majors halfway through… To be honest, writing this blog is the only endeavor I’ve actually taken on that I’ve stuck with for any significant length of time. So I guess credit where credit’s due, because evidently along with all my self-awareness and self-reflection and general musings up in here, I’ve also learned a little bit about perseverance. Go figure. This is my book’s launch day. THIS, finally, is a deadline that I have met. For maybe the first time in my entire life, I did something I said I was going to do. I said I would write & publish a book by December 2012, and I did. I actually did it. And that, right there, is an amazing thing. Regardless of whether tons of people end up buying my book, regardless of whether anyone even likes it, I did what I set out to do. And I literally have never been more proud of myself. Not when I lost those first pounds, not when I got under 200-pounds for the first time since high school, not when I ran a relay across Massachusetts. No, this. I feel like I’ve been sprinting towards this very day for the past 6 months (not to mention the whole 24 years prior to that), so to say that I’m having some difficulties in processing the fact that the book is ACTUALLY PUBLISHED… well, it’s putting it lightly. Well, perhaps difficulty isn’t the right word to use, but I kind of used up all of my words when I spent 83,512 on my novel (yep, that’s the final word count. Crazy, right?) so you’ll have to forgive me. Really, the only thing that’s difficult about what is pretty much single-handedly the most exciting time of my life, is that I keep bursting into tears at random intervals as I write this post, and it’s making it rather hard to keep my train of thought on track. Don’t worry, they’re happy tears. The happiest, really. The I-can’t-believe-I-made-it kind. The kind that make you literally pinch yourself–because even though you know it’s just an old cliched saying, you think, just this once, maybe you really are dreaming and you just don’t know it. Thank you, to everyone who helped me make this a reality. In particular, thanks goes out to my editor and general muse, Aileen, without whom Terra would be a completely different kind of beast. (Seriously, you guys would have been retching from the amount of sappy, saccharine cheesiness in the book, haha. What can I say? I love me some cheese!) 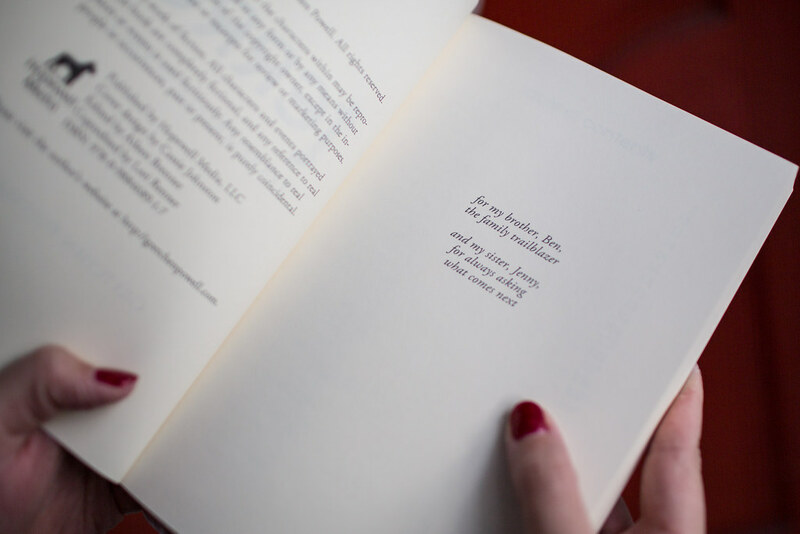 And to my brother and sister, for whom I think the dedication above speaks well enough. (Click on the picture for a larger image if you can’t read it, and prepare to “aww.”) But also, just thank YOU. You, my blog readers, who have been endlessly supportive with regard to so many different aspects of my life. This would not be happening if it weren’t for you. It’s $9.99 for the paperback, and at a special price of $4.99 right now for the eBook! Support for iBooks and Google Books will be following, hopefully soon! Oh, and the paperback version hasn’t been linked to Amazon yet, but word is that will be happening shortly as well. So again, thank you. For your support, for your encouragement, and just for coming along for the ride. Congratulations! I’m just sad that I can’t get it on my Kindle ’cause it’s not on Amazon UK. I’ll work it out eventually though! Kindle copy purchased, can’t wait to dig in…congratulations on such a huge life accomplishment! Congratulations! I’ll bought and will be reading the kindle version. Totes crying. I am SO PROUD OF YOU. Go get yourself some pink champagne, girl. I am so excited for you! This is an amazing accomplishment. I am also of the *does not finish* personalities and I know how much it means when you DO finish. This is amazing and I can not wait to read it! Congratulations! Because I’m not a finisher either, I totally get your excitement. What a heck of an acomplishment!! WTG! Hey; I let you keep SOME of the cheese. Though, interestingly enough, there is no ACTUAL cheese in this entire book, and I’m disappointed in both of us. Maybe it’s a good thing that we didn’t include it. I’ve already shared my review with you personally but loved the book! Congrats Gretchen, this is such a great achievement and I can’t wait to read the rest of the series! 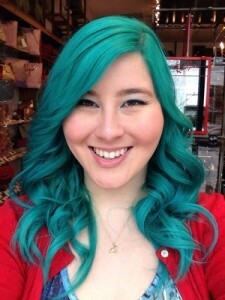 At the risk of sounding like the ’90s, YOU GO, GIRL! Seriously, lady, I read every day and rarely comment, but I had to congratulate you. I am also a writer. I also dream of seeing my name on the cover of a book. And you have no idea how much you have inspired me to just push through and get it done. CONGRATULATIONS!!! 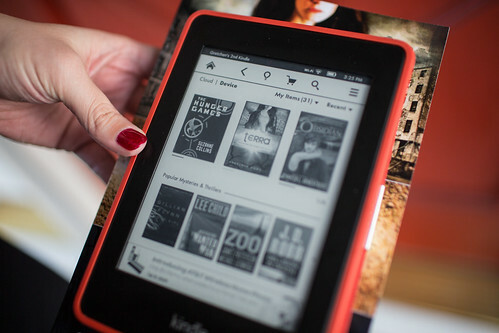 Once I figure out how hubby’s Kindle works, I am going to buy this and submerge myself in it! WAY TO GO, YOU!!! Bought! I’m blaming you if my productivity tanks today. But it will be a sweet, sweet blame of looooooove. <3 So proud of you! You are such an inspiration! Thanks to you, my goal for 2013 is to finish my book 🙂 I can’t wait to download yours tonight! congratulations to you! this is something that i have an interest in too but like you, somehow it’s easier to have ideas and thoughts and start them but not finish. i bought it – can’t wait to read it! This is HUGE! I have been lurking on your blog and never posted, but today I had to tell you I bought the book as soon as I saw this post and am so excited to read it and already looking forward to what comes next too! I have been an avid reader of your blog for awhile now and today I just had to comment for the first time to congratulate you on this total awesomeness!!! I just purchased it for my Nook and can’t wait to read it! Ahh! This is BEYOND excited. I am in the process of ordering a copy now. Congrats, I can’t wait to read! SO happy for you! Huge, ginormous, mega congratulations to you!!!! Congratulations! I’ll be sure to buy a copy for my Kindle! I just bought the kindle version & can’t wait to read it! CONGRATS GRETCHEN!!! Congratulations, Gretchen!! What an accomplishment! Congratulations, girl! I’ve just downloaded it to my Kindle, and I cannot wait to get stuck in! Why yes, I do know the exact “Parks & Rec” scene you’re referring to. Love me some Leslie Knope hilarity. Oh, and….CONGRATULATIONS!!!!!! I just remembered that you’re 24, which means you’re only 3 years older than me, and there is no way I can even fathom writing a book around our age. Serious props to you! Totes buying a copy ASAP. Congrats!! Congratulations! I’m definitely going to check it out. Ok was on the verge of tears till I hit the dedication, dang you. So excited — just downloaded it on my Kindle! Congrats, Gretchen! As soon as payday rolls around, I am going to buy this book SO hard. CONGRATS!!! And please teach me. Ok so I haven’t bought a copy yet but the hubby did so we’re halfway there- going to get a copy to read on my iPad on the way home for christmas and totally getting a paperback copy to commemorate this amazing achievement. I am loving being able to say that my baby sister is an author! and the dedication was so sweet and unexpected- you know it chokes me up just thinking about it 🙂 SO proud of you!! 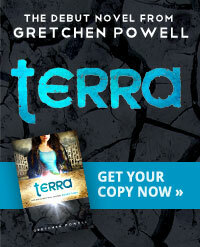 I just purchased “Terra” for my Nook. I’ll be saving it to read over my holiday vacation. I sure wish I could say I have accomplished half as much in my 59 years as you have in your 24.5 years. Congrats! You rock!! THAT IS SOOOOO AWESOME! CONGRATS!!! You did it!!! I am so proud of you and you should be extremely proud of yourself. 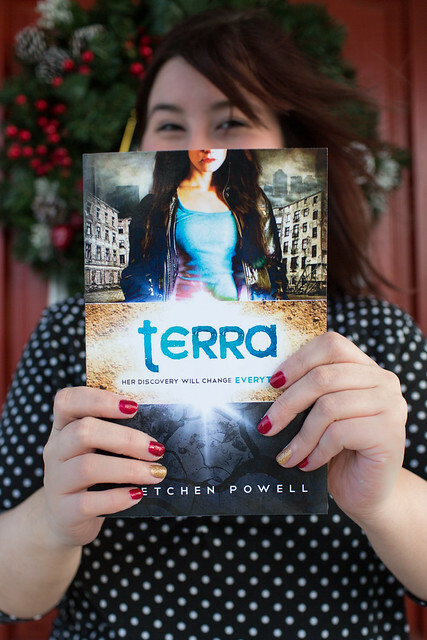 I can’t wait to spend sometime getting to know Terra. Just bought the Kindle version, can’t wait to read it! That’s so exciting! Gonna go get my copy ASAP! I found your website through Caitlin’s, HTP, and I just downloaded your book to my Nook! I’m super excited to started reading it. Congratulations! That’s such an amazing accomplishment. Thank you, Amanda!! I really hope you enjoy!!! I’m so happy you covered all the bases with the e-readers. I love my Nook plus it’s so much more simple to get the book purchased, and you can download and read right away. I’m just finishing up another book, so I hope to be able to devour this one starting this weekend! Hey Gretchen! 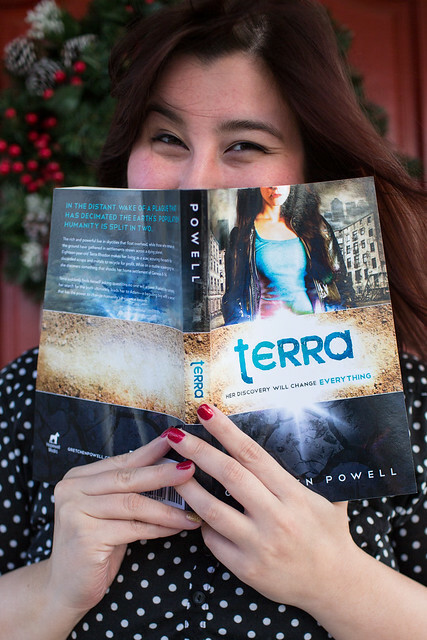 I’ve been reading your blog since the beginning and am so excited to read Terra. You’re perseverance and courage to complete something like this is very motivating! 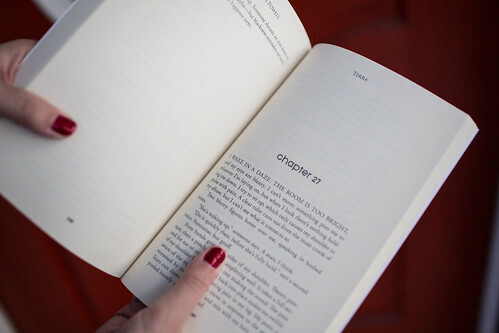 Gretchen, the book is AMAZING!! I read it in like 2 days, couldn’t put it down. Very Hunger Games-esque, and I can’t wait to find out what happens in the next book. I don’t want to post any spoilers here but–really, really great job. It was even more exciting reading it because I feel like I know you (I don’t?) and know the process that went into it. Great job! Thank you SO much, Kate! That is so amazing to hear!! Just wanted to post a quick congrats comment as well as say I zipped over to amazon bought this bad boy for my kindle and can’t wait to read it and review it for my blog!!! So happy for you! Also, is the book on good reads? If so I will post a review there too! Thanks Elisabeth! I really hope you enjoy it!! this is FABULOUS! one of my dreams is to see a book i’ve written in the library or a local bookstore. one day it’ll come true..ha. congrats dear on this amazing accomplishment! so excited to follow your blog! Hey Gretchen! I have been following your blog for a while now and when I saw that you had published a book I purchased it that day! Well I finally got around to reading it over the holidays and I LOVED it!! I can’t wait until book #2 comes out!! Congrats! This is such an achievement, congratulations! How inspiring – you’ve made me want to move forward with some projects of my own that I lost traction on. Thanks for sharing!